Young producer Maidable has teamed up with New York label Rubik Records for a two-song set of skittery, energetic cuts. 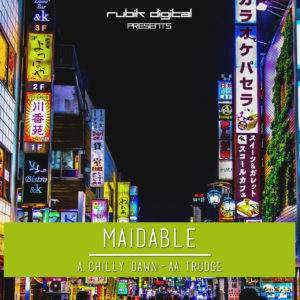 Maidable turns to drum ‘n’ bass on each number, surrounding drums breaks with synth notes and bits of singing on uptempo opener “Chilly Dawn,” while keeping things a bit more spacious — but still pretty snappin’ — on “Trudge.” A good showcase of the burgeoning artists’ skills. Get it here, or listen below.